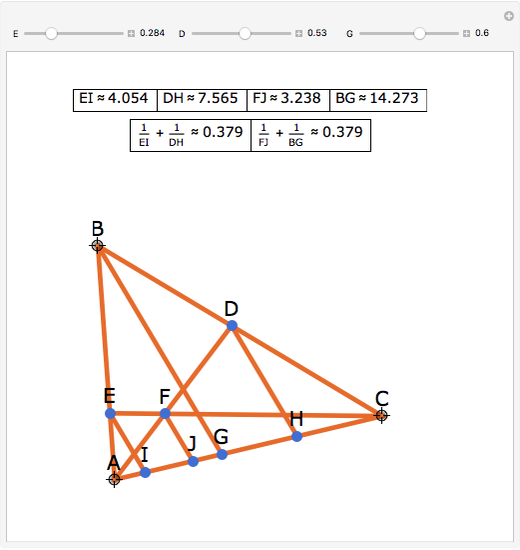 Let ABC be a triangle. 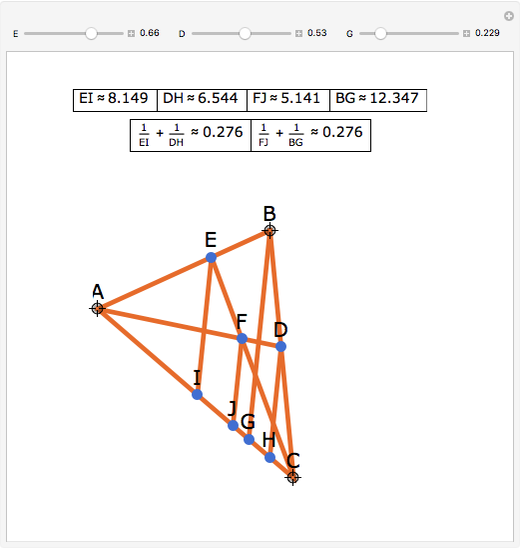 Let E, D, and G be points on AB, BC, and AC, respectively. 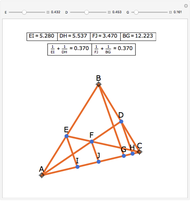 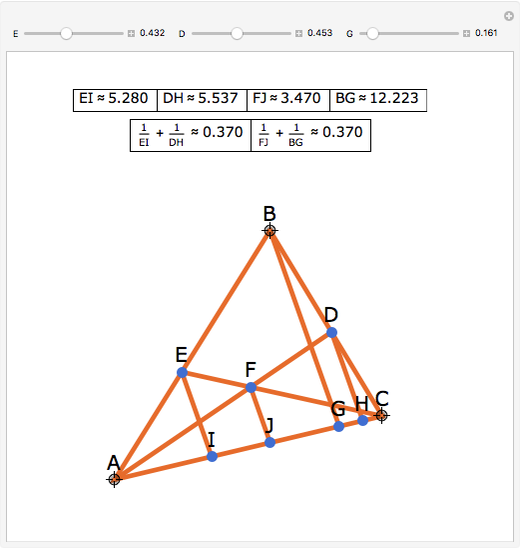 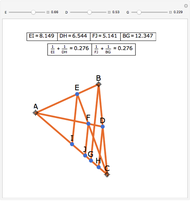 Let EC intersect AD at F. Choose points I, J, and H so that EI || BG || FJ || DH. 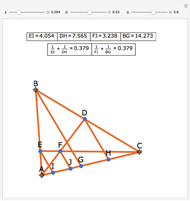 Drag the triangle's vertices or the sliders to change the figure.